One year after the Westgate Mall terrorist attack in Nairobi, Al-Shabaab is more entrenched and a graver threat to Kenya. 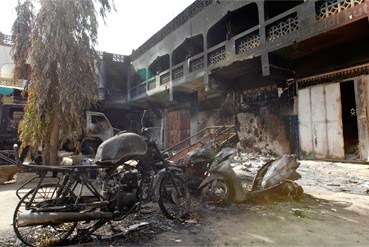 But the deeper danger is less in the long established terrorist cells that perpetrated the act – horrific as it was – and more in managing and healing the rising communal tensions and historic divides that Al-Shabaab violence has deliberately agitated, most recently in Lamu county. To prevent extremists from further articulating local grievances with global jihad, the Kenyan government – including county governments most affected – opposition politicians and Kenyan Muslim leaders, must work together to address historical grievances of marginalisation among Muslim communities in Nairobi, the coast and the north east, and institutional discrimination at a national level, as well as ensuring that counter-terrorism operations are better targeted at the perpetrators and do not persecute wider ethnic and faith communities they have purposefully infiltrated. The present context is serving only to lose further hearts and minds. Instead of closing ranks as they managed – just – in the aftermath of Westgate, Kenya’s political elites have bought into the deadly discourse of ethnic and religious recriminations. Not only are there plenty of immediate grievances to exploit, but nearly two decades of radicalisation and recruitment in Kenya means that the threat is both imminent and deep. The absence of a common Kenyan Muslim agenda and leadership has meant little resistance to the extremist message. The late 2011 military intervention in Somalia to create a buffer against a spillover of insecurity has hastened the expansion of Al-Shabaab’s campaigns into the homeland. The intervention’s strategic calculations in relation to (southern) Somalia may, in the long run, be vindicated. But the impact on domestic security has been severely underestimated, or at least the ability of internal security agencies to disrupt and respond to terrorist attacks without, as the April 2014 Usalama Watch operation did, further alienating communities whose cooperation and support is vital in the fight against terrorism. Yet the blame should lie less in the weaknesses of the country’s institutions than in the unwillingness of political leaders to put aside partisan divisions. And because partisan divisions almost inevitably translate into communal strife, playing politics with terrorism compounds an already volatile situation. While the successful drone attack against the Al-Shabaab Emir Ahmed Abdi Godane on 1 September has removed the organisation’s key strategist, not least in extending the jihad beyond Somalia, the inevitable jockeying for position within Al-Shabaab will have implications for Kenyan operatives as they seek to maintain their relevance with the new leadership. A further offensive by the Somalia government and African Union Mission in Somalia (AMISOM), squeezing Al-Shabaab’s territorial presence in south-central Somalia, also risks high-impact attacks elsewhere – including in Kenya – as a demonstration of the insurgents’ continued potency. This briefing updates and builds upon previous Crisis Group analysis and recommendations especially in Kenyan Somali Islamist Radicalisation (25 January 2012). The briefing also refers to the transition to devolved government and how longstanding issues relating to the provision of security, regional marginalisation and accommodating minority representation are yet to be fully addressed; these will be explored in a forthcoming series of products on devolution in Kenya. facilitate Muslim-driven madrasa and mosque reforms, which should entail review and approval of the curriculum taught; mosques vetting committees need to be strengthened in areas where they exist and put in place where they are absent.